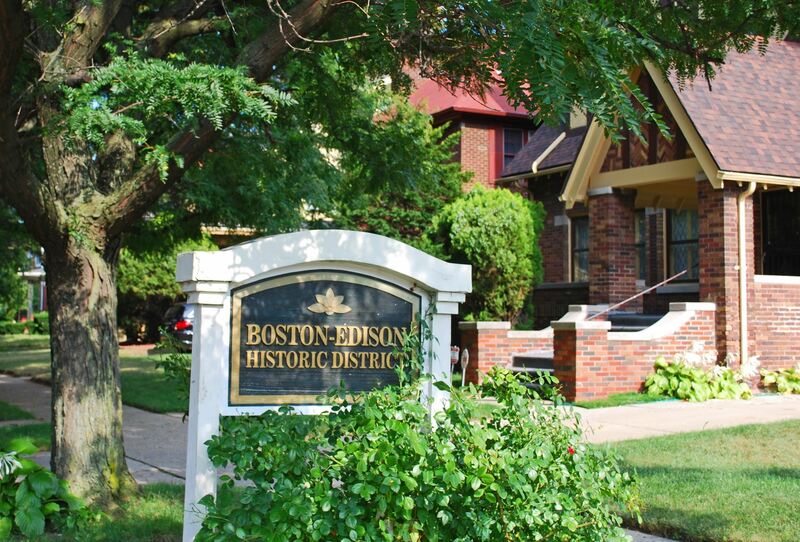 Interested in writing an article about the Boston-Edison historic neighborhood or the Historic Boston-Edison Association? Here's where to start. Interviews can be arranged with the HBEA president , who can be reached by leaving a message at the HBEA hotline at 313-883-4360 or by emailing Boston-Edison at info@historicbostonedison.org. 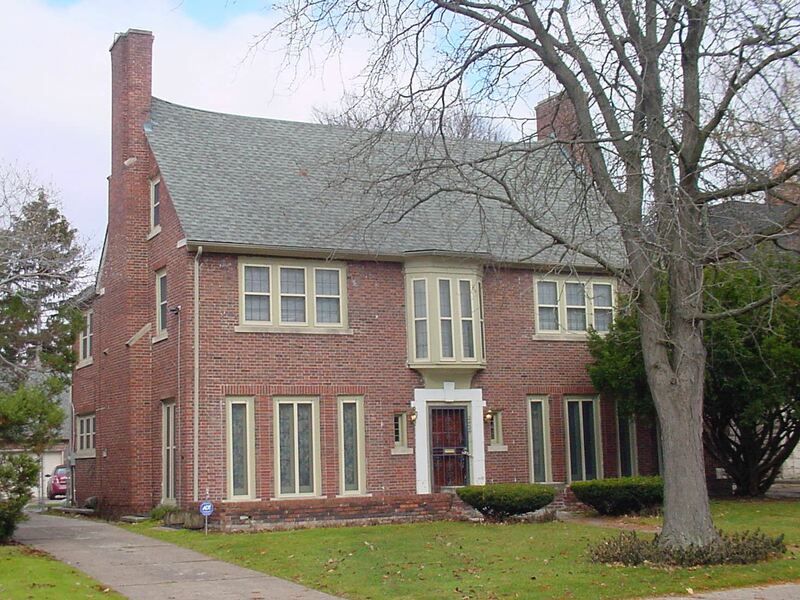 Boston-Edison, its homes, and its residents are a popular and interesting subject. Excerpts from recent press coverage are included on our BE in the News. 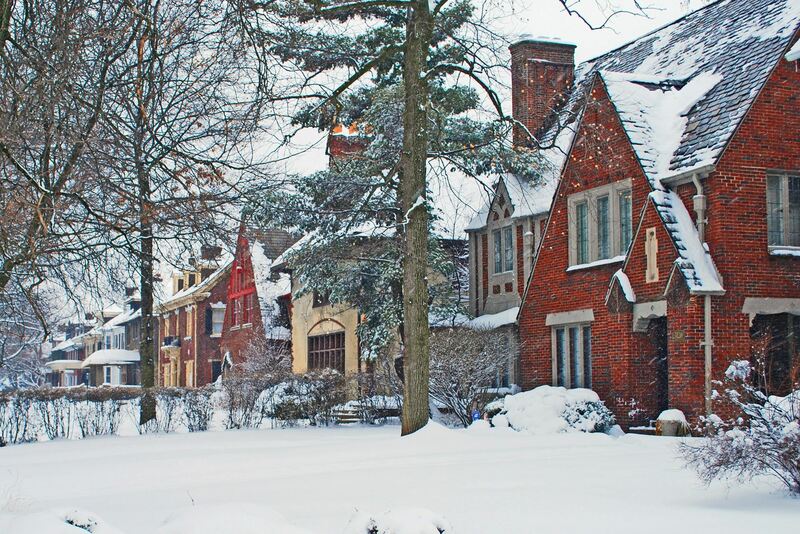 What: Boston-Edison is a city, state, and nationally-recognized historic district located in the heart of Detroit, spanning 36 blocks and containing over 900 homes. Most homes were constructed between 1905 and 1925 and range in size from modest two-story vernaculars to impressive mansions. Where: Boston-Edison is located in the heart of Detroit, along Edison Street, Longfellow Street, Chicago Boulevard, and West Boston Boulevard from Woodward Avenue to Linwood. The neighborhood is just off the Lodge Freeway (M-10) at Chicago Blvd and one mile north of I-94. See a map of the neighborhood and get directions. 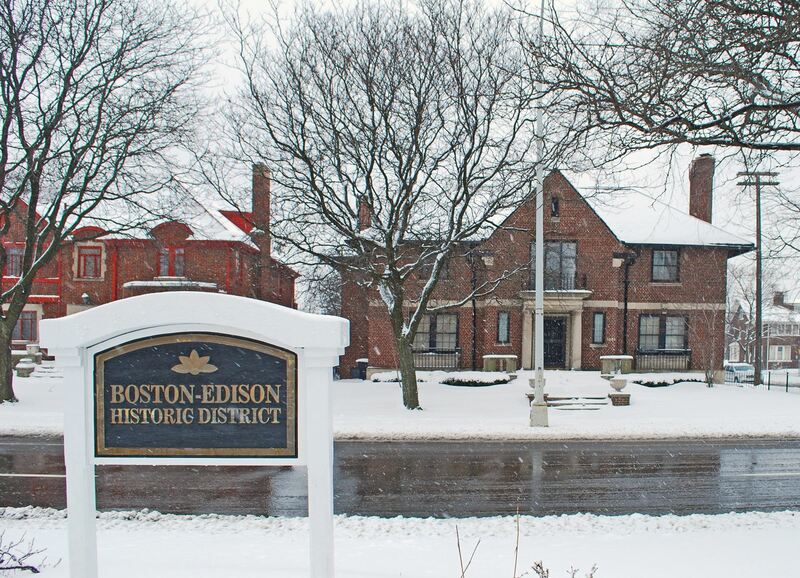 Boston-Edison history: Since the first decade of the twentieth century, Boston-Edison has been home to some of Detroit's most important residents, attracted by the ambiance and architecture of the neighborhood. Barons of Detroit's booming automotive and commercial industry flocked to Boston-Edison because of its proximity to the businesses located along Grand Boulevard (notably General Motors and Fisher Body) and to the dozens of nearby auto factories, including Ford, Cadillac, Studebaker, and Hupmobile. 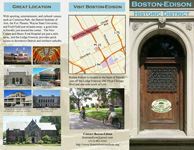 More about the social and architectural history of Boston-Edison can be found on our history page. 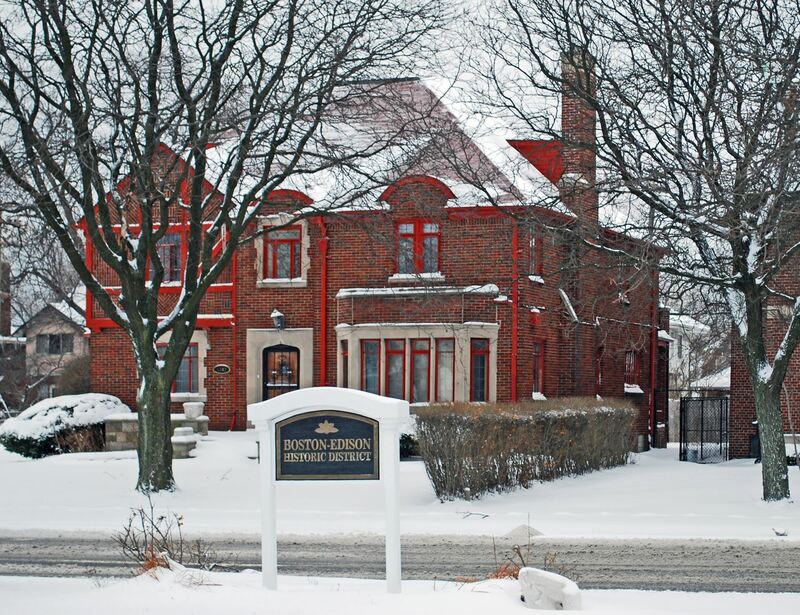 Boston-Edison homes: No two homes in Boston-Edison are alike. 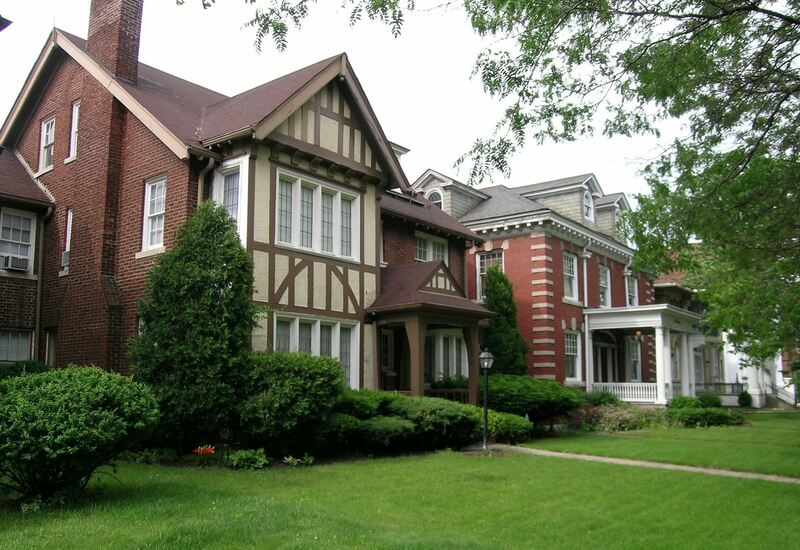 Architectural styles range from English Revival to French Provincial to Italian Renaissance to Prairie and Vernacular, and the neighborhood includes both impressive mansions to modest vernacular homes. The diversity of architectural styles is counter-balanced by a sense of harmony achieved by uniformity of scale, roof line and set-back and by consistent use of stone or brick construction. Features such as Gothic statuary, tile roofs, and elaborate landscaping are a testament to the grandeur of the times in which they were constructed. 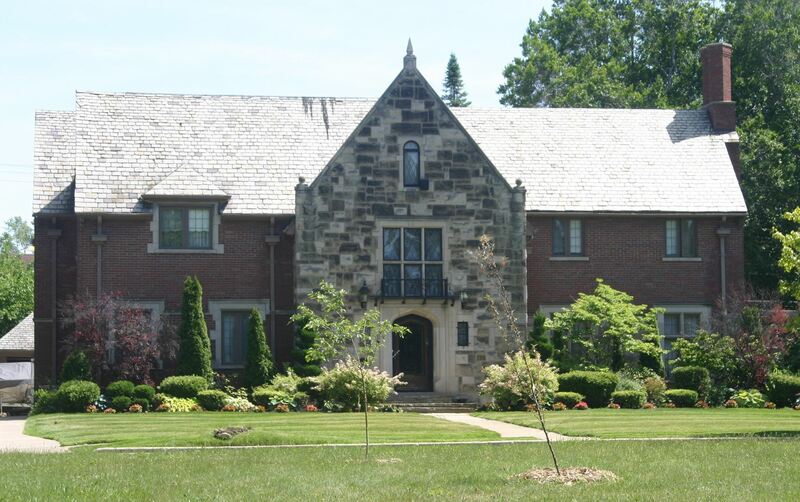 More about Boston-Edison homes and architecture can be found on our history page. Boston-Edison residents then: The original residents of Boston-Edison included auto pioneer Henry Ford, SS Kresge department store founder Sebastion Kresge, Detroit mayor (and US Senator) James Couzens,and Tigers owner Walter O. Briggs. The later emergence of African Americans in Detroit brought opportunity, prosperity, and diversity to Boston-Edison. Motown Records founder Berry Gordy. heavyweight boxing champion Joe Louis, opera singer (and first Black Aida) Celeste Cole, and actor-comedian David Alan Grier all resided in the area. Dozens more important and interesting people have chosen to live in Boston-Edison; many are included in our list of historical residents. Boston-Edison residents now: Today, the area is home to a diverse collection of residents that span cultures and occupations. They share a love and appreciation of historic homes and enjoy a wide network of friendships and an active fellowship in neighborhood activities. 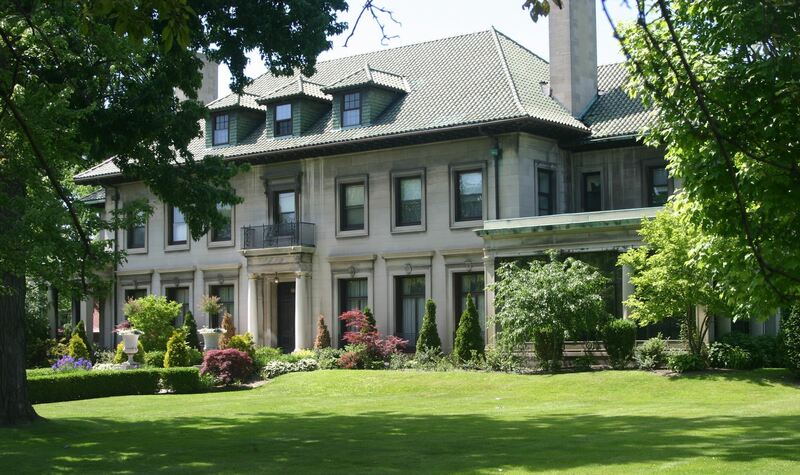 Historic Boston-Edison Association: The Historic Boston-Edison Association (HBEA) is the oldest continuous neighborhood association in the City, founded in 1921. The association safeguards the value, character, and appearance the neighborhood for the benefit of all residents by undertaking neighborhood projects and advocating for the neighborhood with the city and state. HBEA is led by a Board of Directors, elected by the residents of the neighborhood. Read more about HBEA. 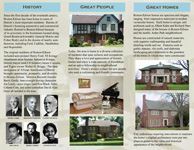 For a quick overview of the neighborhood, download the ultra-hi-res trifold brochure below. Click images to download the brochure (PDF). The pictures below can be used free of charge for articles concerning the Boston-Edison historic district. For hi-res pictures, click on the thumbnail below. Credit should be given to "Historic Boston-Edison Association."